Maze Grill by Gordon Ramsay in Mayfair was the first of the three Maze Grills to open (the other two are on Royal Hospital Road and Park Road) and sits adjacent to Maze, the original fine dining establishment that bears the word ‘Maze’ in its name. Whereas Maze offers an eclectic European menu with an Asian twist in a more formal setting, Maze Grill took its inspiration from the Manhattan grill rooms where steaks are the order of the day. Maze Grill is the kind of place where select US and British cuts of aged prime steaks are brought out on a board for customers to choose from. But also prevalent at the restaurant is a range of sushi and sashimi. On Saturday afternoons, Maze Grill Mayfair offers a bottomless bubbles and sushi menu for £40. 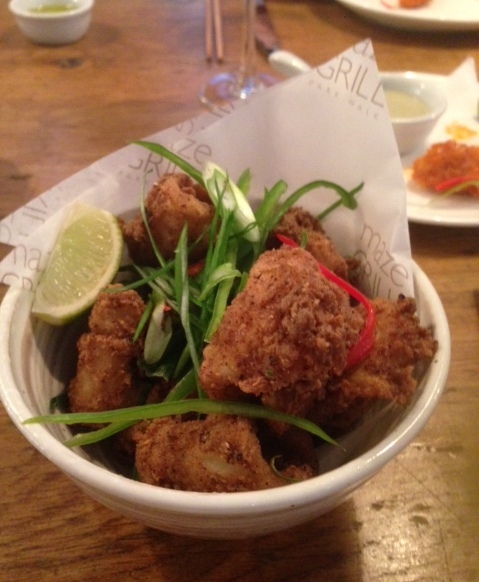 We visited Maze Grill on a Sunday afternoon, during which time the ever popular Sunday roast is served. For £25, diners can have a 35 day dry aged sirloin beef with slow braised shin of beef, Yorkshire pudding, rich bone marrow gravy and unlimited sides such as buttered carrots, honey glazed parsnips and wagyu fat roast potatoes. 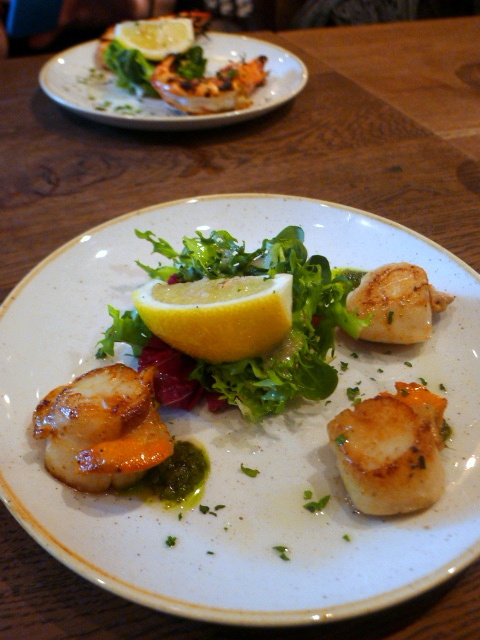 But before tucking into the Sunday roast we decided to try a number of starters. 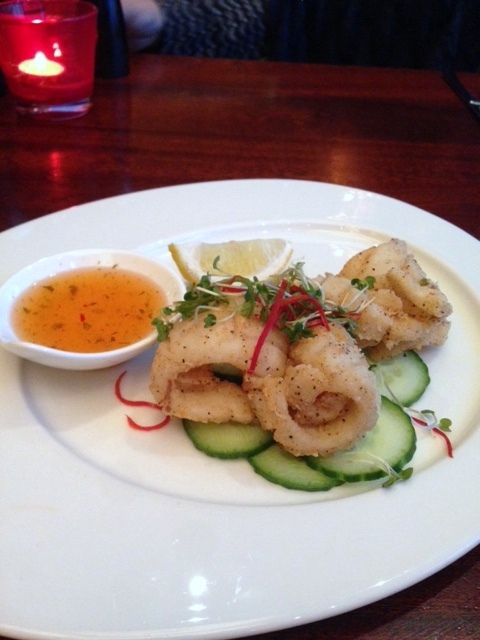 Salt and Szechuan pepper squid (£5) with chilli and lime was fairly tasty with a crispy coating. 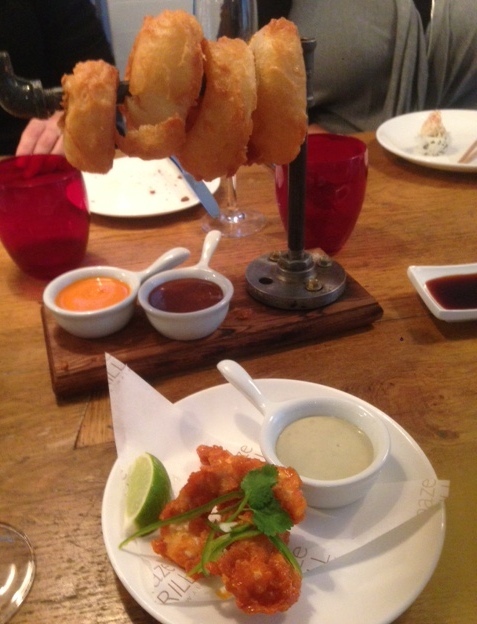 Deep fried onion rings (£4.50) were fat and big and nicely done. Also pleasant (and also deep fried) were the buffalo chicken fillets (£5). These were crunchy and well made, but at £5 for a few measly pieces, this plate felt a tad overpriced. 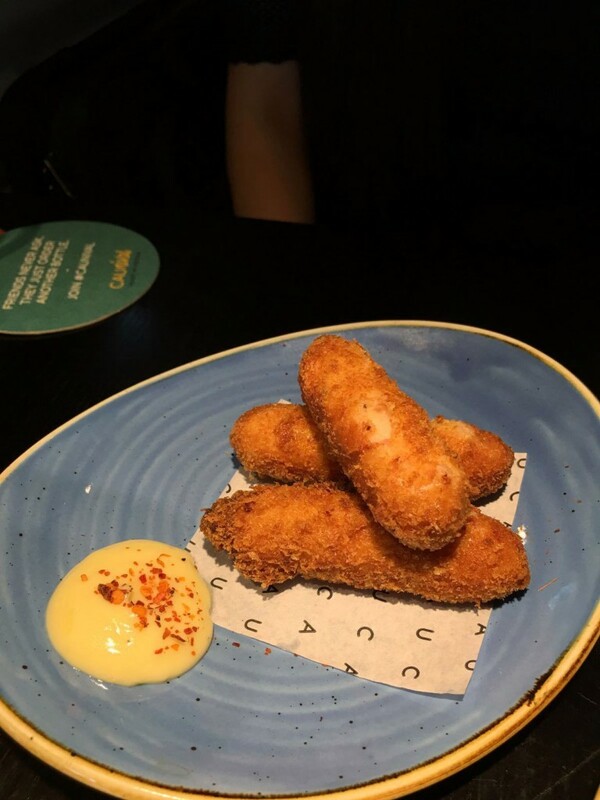 Mac and Wild is all about meat – Scottish meat in fact. At the heart of its operation is wild deer which comes from co-owner Andy Waugh’s father’s estate, with the rest of the produce being sourced from other trusted highland properties. The origins of Mac and Wild dates back to when Waugh first set up at Borough Market in 2010, selling raw deer meat. 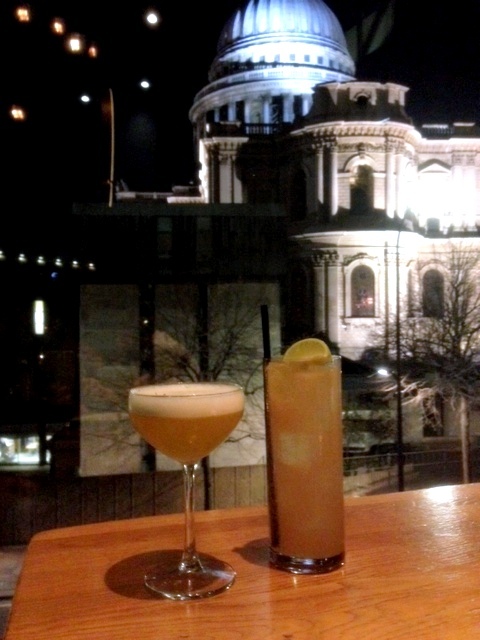 Before long, his next venture came about as ‘The Wild Game Co’ which saw him dishing out venison-based street food. A pop-up was next, which was so well received that Mac and Wild, the permanent location, came into being in 2015. The finished product, Mac & Wild on Great Titchfield exudes a minimalist touch with wood tables and bare brick walls. Yet it manages to maintain a sense of a stylishness to it with its soft dim lighting and charming ambience. The menu is predominantly about the meat, but there are also a number of fish and veggie choice to ensure that every palate is catered for. 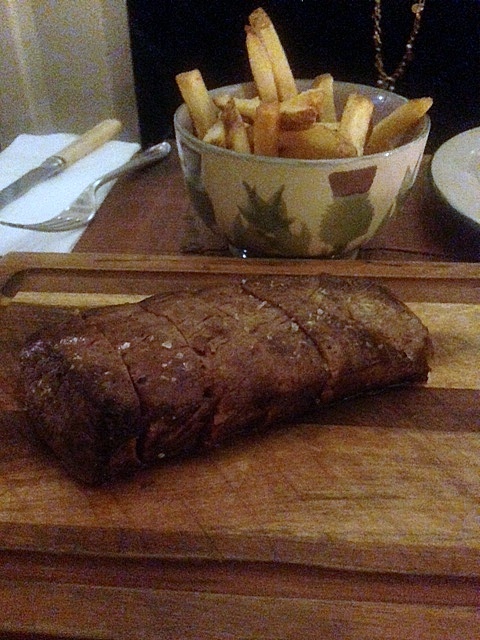 The highlight of the evening was without question the venison chateaubriand (£11 per 100gm – we ordered 310gm). 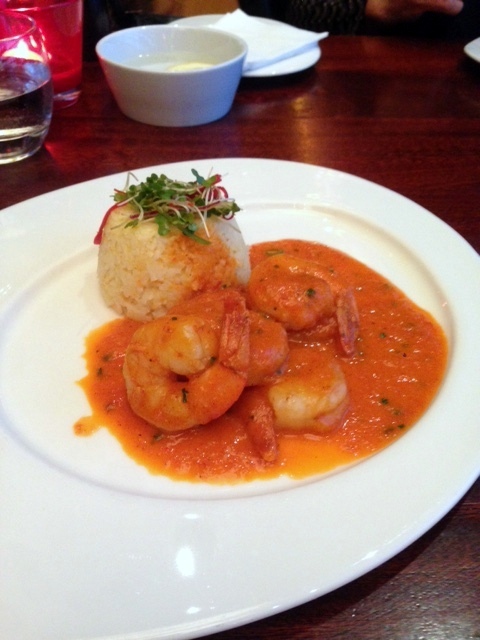 Packed with flavour and mesmerisingly tender, this was staggeringly good. Perfectly cooked and well seasoned, this was truly a triumphant piece of meat and well worth the price. 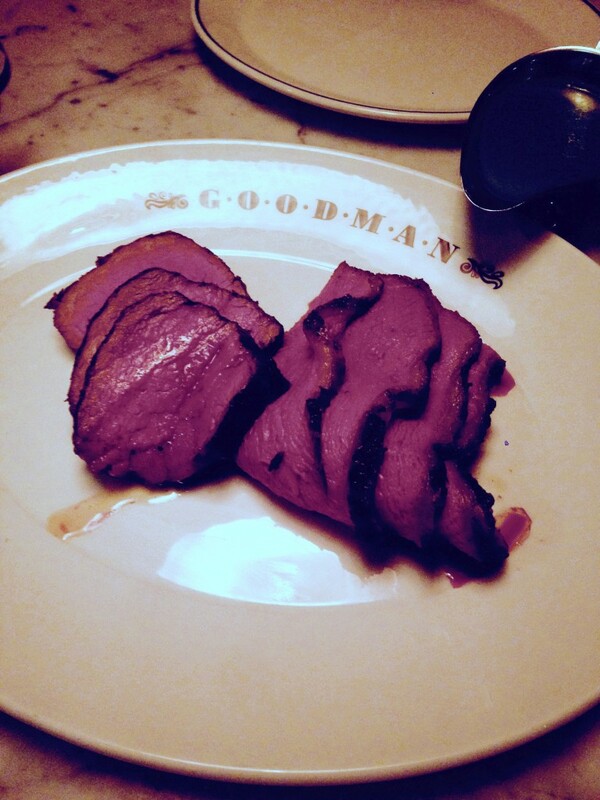 Zelman Meats is part of the Goodman Restaurant Group, the team behind the Goodman steakhouses in Mayfair, the City and Canary Wharf, as well as the hugely successful Burger and Lobster chain. It takes over the spot which was once Rex & Mariano, also another venture from the Goodman Restaurant Group. At Rex & Mariano, the focus was reasonably priced seafood which unfortunately didn’t take off. With Zelman’s Meats, the group has shifted its focus to meat, but again with an eye on reasonable pricing. The décor at Zelman’s Meat is sleek with a tinge of industrial chic. The restaurant is spacious with an open kitchen, dark red leather booth seating, industrial-style lighting and exposed ventilation. In place of traditional paper menus are blackboards on the wall with that day’s offerings. 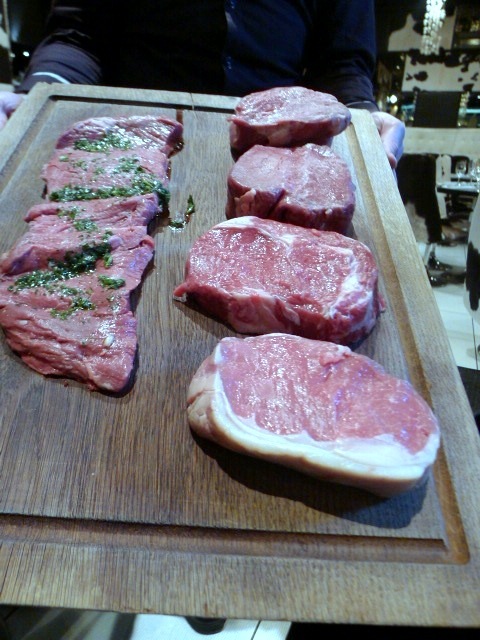 There are three main cuts of meat, picanha (£6 per 100g), chateaubriand (£9 per 100g) and ribs (£12 per piece). The first two are priced by weight with the minimum portion size being 200g. We ordered the sliced picanha and the chateaubriand, and we enjoyed both of them. The beef came out medium rare, was well seasoned and boasted of a robust charred flavour. Although both cuts of meat were tasty, the chateaubriand was unsurprisingly the better of the two. It had a better flavour as well as being the more tender. We also ordered some sauces to go with the beef, these being the bernaise (75p) and the chimichurri (75p). The bernaise was good with a nice hint of acidity, however the chimichurri was bland.